Carolien Niebling is engaged in the design of future food. 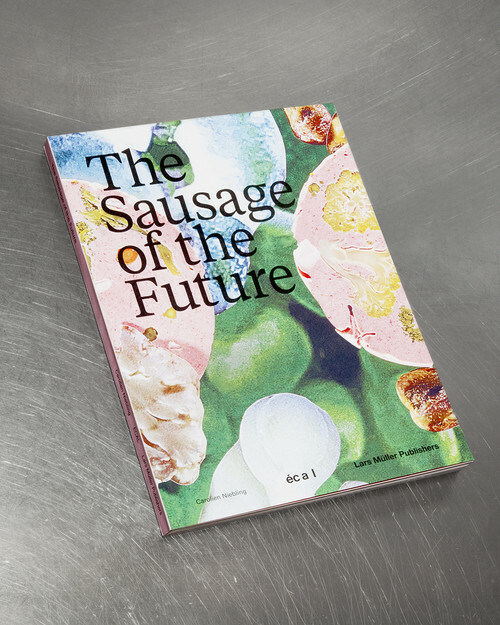 The most recent result of her research is the book ​“The Sausage of the Future”, designed with Helge Hjorth Bentse and published by Lars Müller, about the re-design of the sausage to eat less meat in the future, starting immediately. 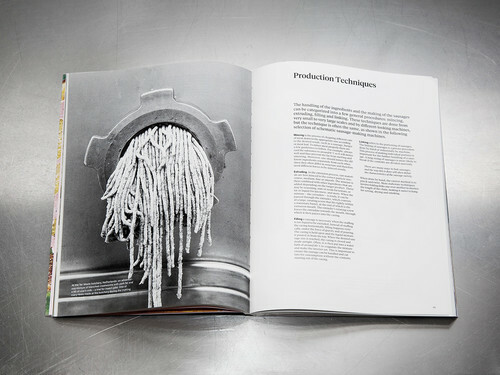 The book explains the origin and current status of the sausage. Niebling worked with many professionals to propose some concrete innovative compositions. 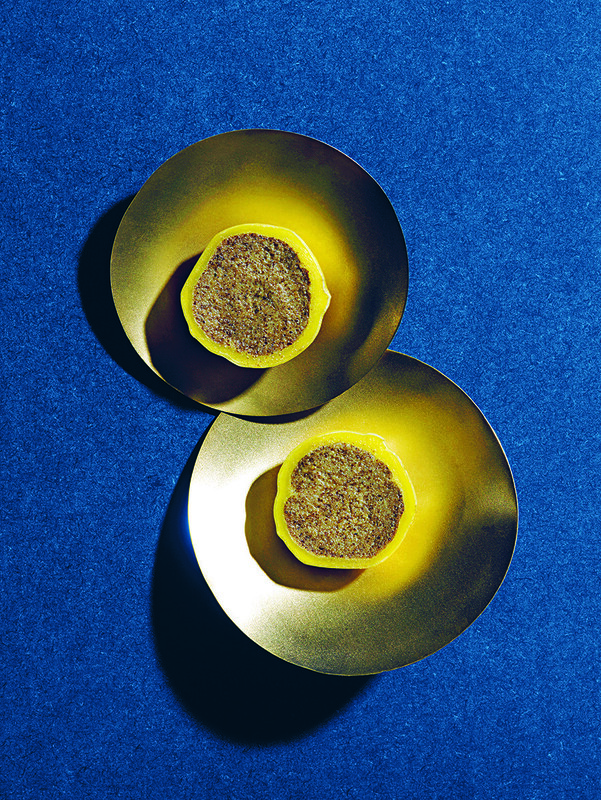 Many fairs invite her to present her designs, like the Design Fair in Milano. Her essay ​“When Lobster met Champagne”, exploring ​“what creates a delicacy vs. the psychology of disgust”, was published in ​“Diversions”, ECAL, and on the www​.Inquisitiveeater​.com. I work mostly in the world of food and food science, because I think there are loads of opportunities to optimise, redesign and improve the existing industry. As a designer I often explore archetypes and historical references. Looking back, one can understand how certain decisions were taken in regard to ancient machines or techniques and then then see if those rules still apply or not to modern technologies. No matter what, there is always plenty to learn from looking at the origins. 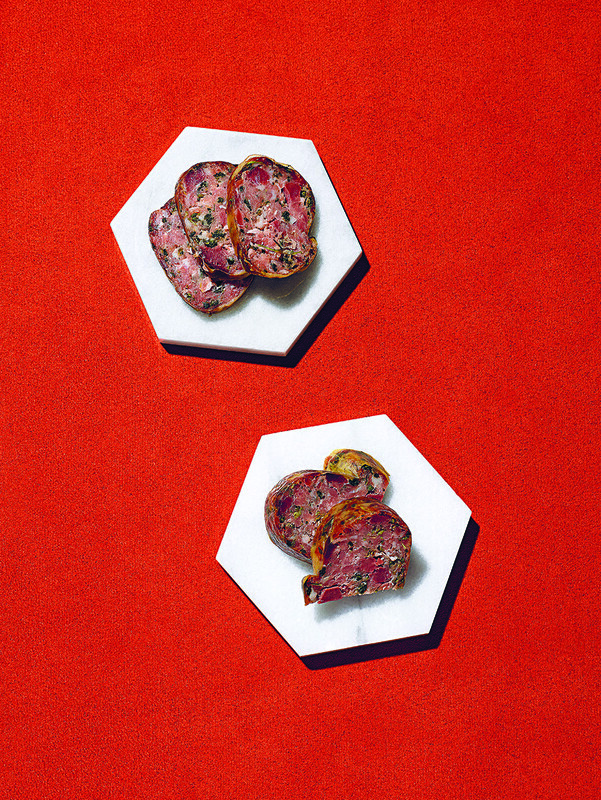 Take sausages for example: I studied many old national dishes from European countries. These recipes are often based on local ingredients and tied to a period of scarcity, thus very smart and efficient. In terms of food flavours, I think we are quite far in scanning the molecular flavour profiles and matching them with other ingredients. I find this a fascinating technology, and I love to use it. I work as a part-time assistant for the product design master at ECAL. I love doing my own research there because of the great equipment, but even more because of the great people I can talk to. Whether they are the teachers, my colleagues or the students, it is fantastic to communicate about your projects with others. It keeps you on your toes, and prevents you from loosing yourself in the matter (since I often work in science, it is easy to get lost haha). In general, chefs inspire me heaps, like Rene Redzepi from (link. 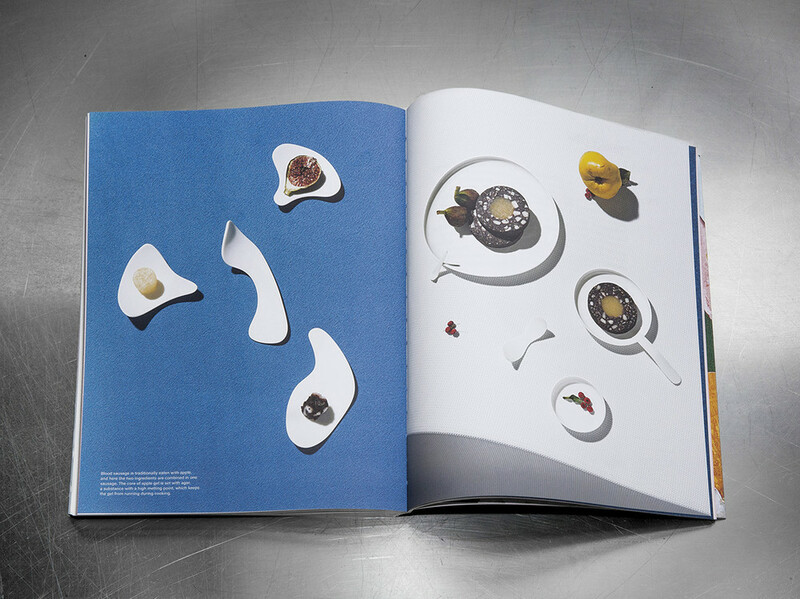 http://​noma​.dk/ text: Noma), or Heston Blumenthal from The Fat Duck, or Ferran Adria from El Bulli. They all are groundbreaking pioneers in their field. They all have broken in a certain way with tradition, and given us something completely new and unexpected. What inspires me often is an attitude, vision or opinion. I am also a fan of life mottos and slogans. I heard recently ​“Life is not a test run, you only get to live it once”. Of course I know this, but sometimes you don’t realise it and so it makes you live a little more spontaneous and care a little less. Or when you say ​“What would you do now, if today you could not fail?” I think it is when people are brave enough to fail that the most exciting things happen. As I said before the most influential people for me are chefs. But also vegetable farmers are quite inspiring: they are sort of designers, growing food and creating vegetables like objects. The farmers see and follow the sprouting and development of a food object, they notice the differences between species. I think they are highly undervalued. 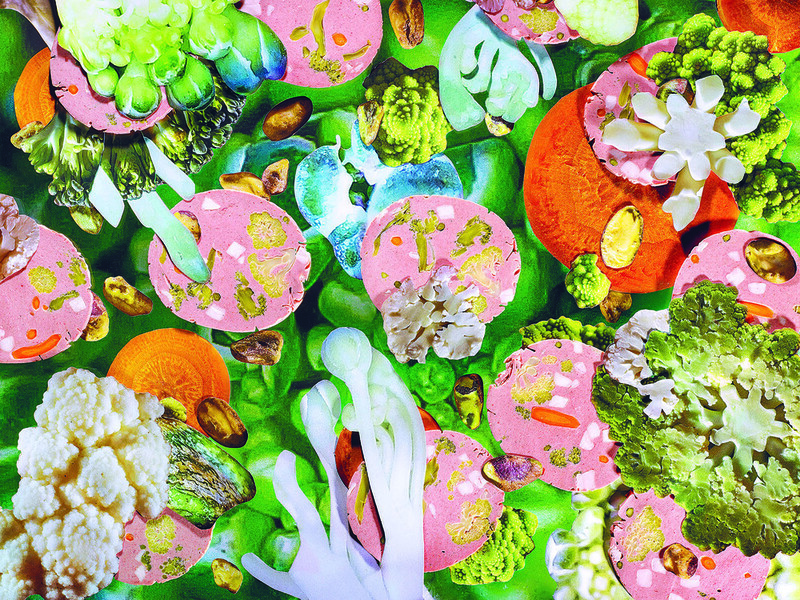 We have become victims of our impoverished supermarket selection and believe that this is all the world has to offer… Otherwise I think there are many important designers for several reasons: Marti Guixe, for obvious food related reasons, has been quite important. Also the fashion designer Hussein Chalayan is very much questioning humanity/​sociology and culture, as well as fashion. As for designers, I think Axel Hjorth, Hans Wegner and Arne Jacobsen have been making some fantastic timeless furniture pieces. Tapio Wirkkala and Aldo Bakker have made some of my favourite earth and glassware with beautiful shapes! Though these choices are more subjective. 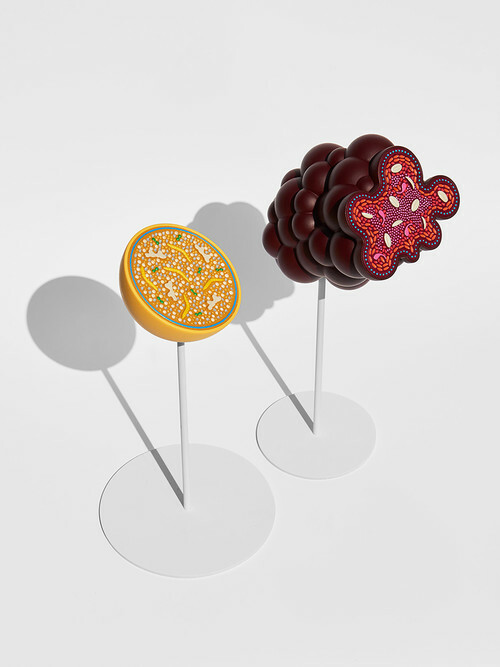 In terms of molecular food scanning I would be very eager to work with Firmenich, a smell and flavour company in Geneva. At the moment I am also looking into edible plants and seaweeds, and would be super keen to work with algae farms and flower growers. Recently I have been so lucky to work with Cirva, in Marseille, who makes glass, and Sèvres, close to Paris, a porcelain manufacture. It has been fantastic to work with such experts.